Note: This post is sponsored by Caulipower but the content and opinions expressed here are my own. If you are like us, pizza night is a big deal. If you’re looking for ways to shake up your family pizza night, you’ve come to the right place. Right down to the pizza crust to the delicious toppings, it’s simple–pizza loves you back. While not having pizza night is non-negotiable, we try to be mindful of how often and what types of pizza we choose. 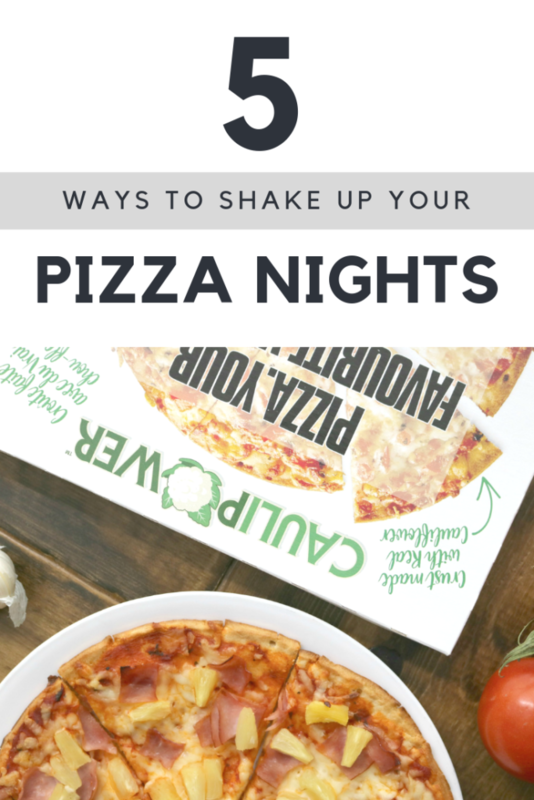 Read on to discover ways to take your average pizza night and make it even better. If you’re a big thin-crust lover and enjoy a crispy and light pizza, you should shake things up by choosing a good for you crust. This is where CAULIPOWER pizza comes in. 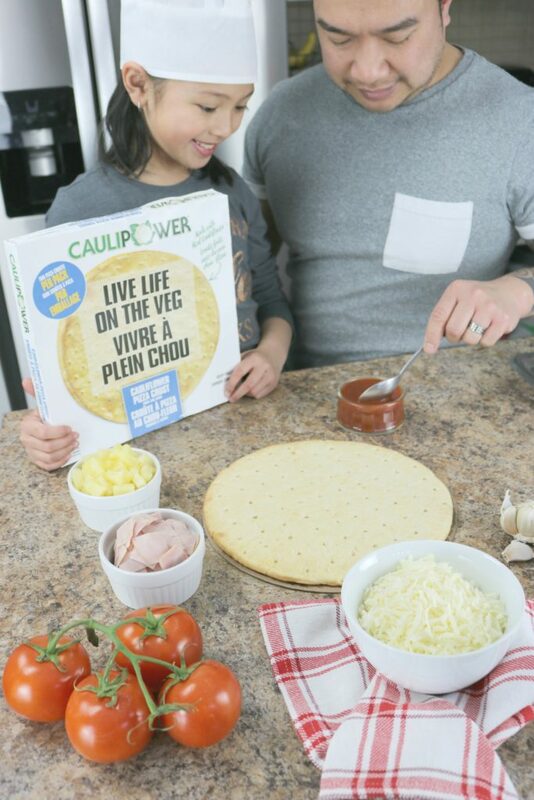 Their crusts use real cauliflower as the #1 ingredient and nothing synthetic. If you think about it, it creates a vitamin-rich and naturally gluten-free option that is lower in calories, sugar, fat, and sodium. Can’t go wrong with that! This #1 better-for-you pizza is proudly made in Canada. The best part? Your family and friends will be surprised at the taste. Not to mention, since it’s packed with only the good stuff, it really does love you back. Check out the kids finding out that our new pizza night features cauliflower. I have to tell you, this crust is amazing. It’s crispy, and it satisfies every thin-crust lover’s crisp expectations. It tastes like the real thing and if we hadn’t told the kids, they’d have been none the wiser. 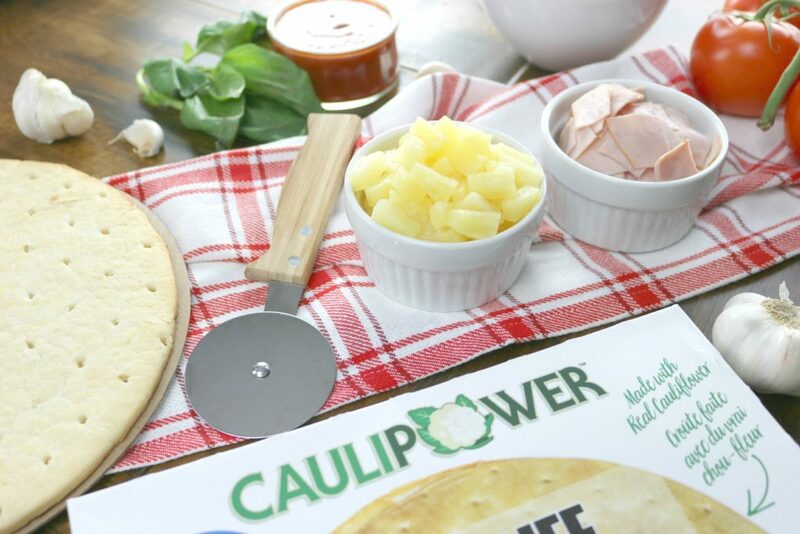 When it comes to DIY pizza night, we chose the CAULIPOWER Plain Cauliflower Crust. That way, we can make our very own delicious pizza! A great way to shake up pizza night is to choose various sauces. Marinara is the usual choice but, there are plenty of choices that will take your average night to epic! 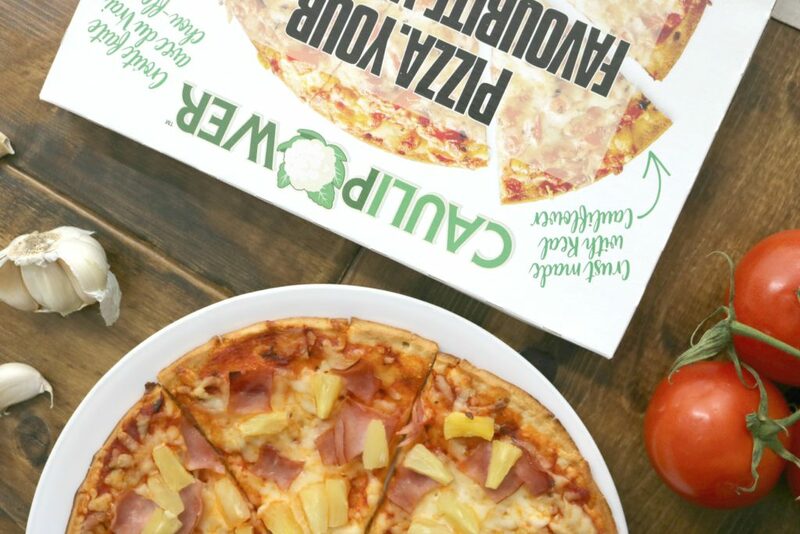 For CAULIPOWER’s prepared pizzas like the Margherita, Three Cheese, and Veggie pizzas, they’ve already topped them with the perfect sauce. Don’t worry, they got your back. The best part of pizza night is that you can make any pizza your own. 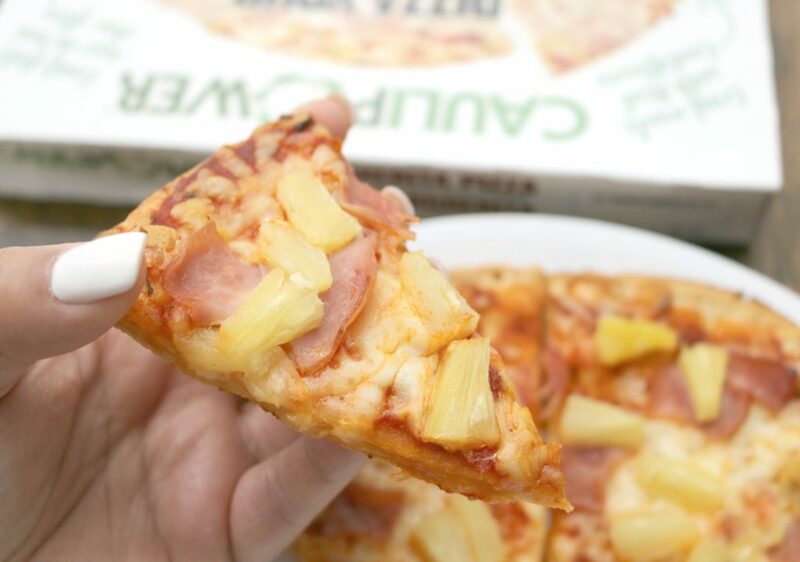 All it takes is choosing the toppings you’re craving. We are from Windsor and we truly do love our pizza. We are known for Windsor-style pizza! So, you know we take pizza pies seriously. In fact, did you know that pineapple or Hawaiian pizza was invented in Chatham, ON? Which so happens to be 30 mins from us and where I grew up. It’s no wonder why we love it! 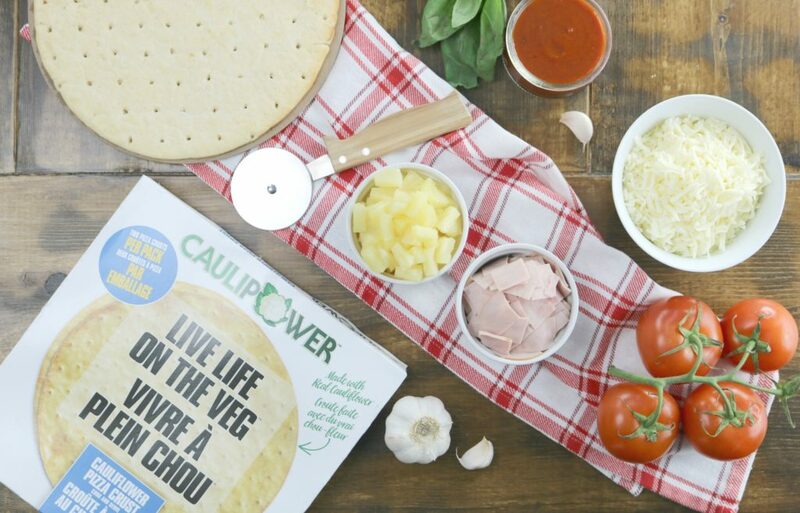 Where to Buy CAULIPOWER in Canada: CAULIPOWER pizzas are available at Loblaws, select Sobeys, Metro, Longo’s, Walmart, Costco, Whole Foods, and many independent retailers. When you grab a CAULIPOWER Plain Crust, two come in the box. The possibilities are literally endless and you can have so much fun while getting creative. I think the next pizza we will make will be a buffalo chicken wing pizza, with marinara drizzled with a blue cheese/hot sauce mixture! Topped with chicken, blue cheese crumble, and scallions. Mama mia, I can see it now! Since the plain CAULIPOWER crusts come in two, you can always make one savoury pizza and one sweet pizza. A popular choice is grabbing some fresh apple pie filling and topping the crust. I see myself baking the crust, slathering hazelnut spread, bananas, strawberries, and powdered sugar. Plus, some whipped cream. Dinner and dessert, y’all! If you want something a little fresher, grab some mascarpone cheese, fresh fruits, a pinch of cinnamon and you’re golden. Since you know the possibilities are endless with pizza (seriously, it’s one of the best creations) and you can make so many types of combos, pick a theme! One week can be Mexican, Greek, Asian, Indian, Pub Food, High-End, Comfort Food–you get my point. Not only come up with a pizza in the theme but, a side or dessert in the same theme too! Gets the whole family involved and it makes pizza night truly epic! I’ll be honest with you. 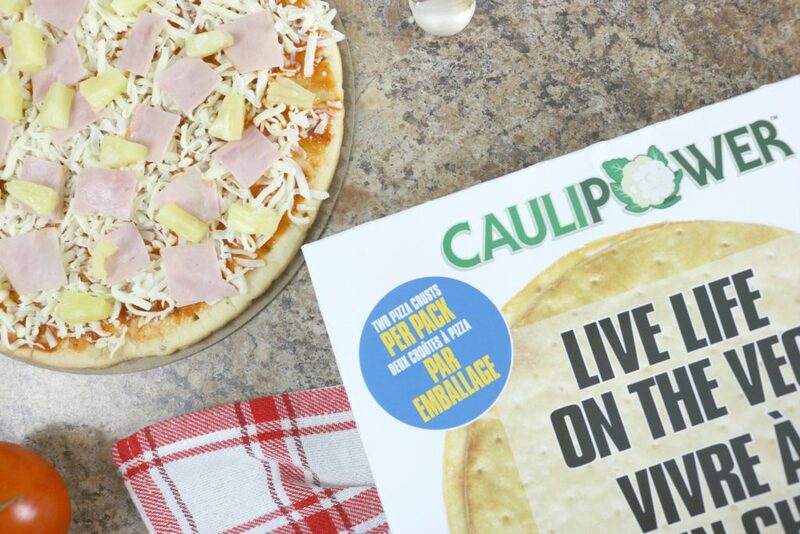 Having a cauliflower-based pizza crust available in Canada is life-changing. Having to scour Google to find some and make trips to the US and pay a premium for it wasn’t fun. Making it from scratch is a lot of work and the texture is kinda off. We all know that ain’t nobody got time for that! Now, we have Canadian cauliflower pizza crust in the frozen aisle at almost every Canadian retailer. I love that there is nothing fake, vitamin-rich and naturally gluten-free. I can get down with that, for real. For $14, I am in heaven. The fact that my kids and husband love it too, well, that’s an even bigger win. If you’re thinking, ‘does it taste like real thin-crust pizza, Nancy? Really?’ I have to tell you, that yes, it does. The texture is ever so slightly different (not like homemade) but, the taste is great and takes on whatever you top it with. Now my question to you, what are you waiting for? Go and get some CAULIPOWER, like, RIGHT NOW! CAULIPOWER is delicious pizza that loves you back! Have you ever tried cauliflower crust pizza?